We are known as one of the most trusted unit in offeringConstant Voltage Transformerthat has serves as stabilizer, spike suppresser, line filter and isolation transformer. This is specifically designed with built in short circuit and overload protection. This provides no interruption, no electrical noise and can efficiently work at very low voltages on partial load. This is available at leading market rates and is made available to our customers only after a thorough check by our learned technician to ensure compliance. 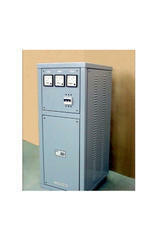 Constant Voltage Transformer is specifically designed with built in short circuit and overload protection. This provides no interruption, no electrical noise and can efficiently work at very low voltages on partial load. This is available at leading market rates and is made available to our customers only after a thorough check by our learned technician to ensure compliance. We are known as one of the most trusted unit in offering Constant Voltage Transformer that has serves as stabilizer, spike suppresser, line filter and isolation transformer. CVT is specifically designed with built in short circuit and overload protection. This provides no interruption, no electrical noise and can efficiently work at very low voltages on partial load. This is available at leading market rates and is made available to our customers only after a thorough check by our learned technician to ensure compliance. We are known as one of the most trusted unit in offering CVT that has serves as stabilizer, spike suppresser, line filter and isolation transformer. Capacitive Voltage Transformer is specifically designed with built in short circuit and overload protection. This provides no interruption, no electrical noise and can efficiently work at very low voltages on partial load. This is available at leading market rates and is made available to our customers only after a thorough check by our learned technician to ensure compliance. We are known as one of the most trusted unit in offering Capacitive Voltage Transformer that has serves as stabilizer, spike suppresser, line filter and isolation transformer. 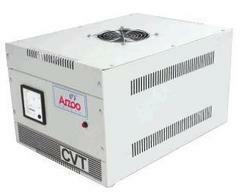 The very best power protection comes from a special type of transformer known as a Constant Voltage Transformer ( CVT). Providing unparalleled reliability and conditioning performance, spikes and electrical noise are neutralised with attenuation. In addition the input (or primary) and output (or secondary) transformer windings are physically separated. Known as Galvanic isolation this separation ensures that there is no direct connection between the mains supply and load. Our Constant Voltage Transformers (CVTs) are AC Voltage Stabilizers providing steady voltage to electrical equipment/instruments and protecting them from the harmful effects of under-voltage and over-voltage. 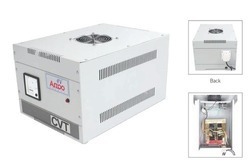 Our CVTs are the ideal maintenance free solutions for loads that can suffer erratic operation or be damaged by electrical noise (common and series mode) local transients, mains power sags, surges and brownouts.